If you love chocolate and you love ice cream, do yourself a favor and make this delicious yogurt ice cream. Dark chocolate and fresh ginger come together with Cabot Lowfat Vanilla Bean Greek Yogurt to create a beautifully flavored, richly textured treat that is sure to please your palate. Give this recipe a try and share it on Facebook, Pinterest, Instagram, and Twitter with family and friends. To make 8 servings of this yogurt ice cream, begin by cutting peeled, fresh ginger into thin slices. Place the ginger slices in a medium saucepan and cover with water. Bring to a boil and cook for 1 minute. Drain the pan, keeping ginger in, and add cream, sugar, and salt. Bring mixture to a boil over medium-high heat, stirring to dissolve the sugar and salt. Once all sugar and salt has dissolved, remove pan from heat and set aside to allow mixture to steep for 1 hour. After steeping, pour the warm ginger-milk mixture through a strainer into a blender, discarding the ginger. Add ¾ of the coarsely chopped chocolate (we highly recommend using Divine 70% Dark Chocolate Bars, asusing the highest quality chocolate is essential for achieving the perfect chocolate flavor) and blend until completely smooth (set aside remaining chopped chocolate). Transfer to a bowl, cover, and refrigerate until well chilled. Once chilled, whisk in Cabot Lowfat Vanilla Bean Greek Yogurt and freeze mixture in your ice cream maker according to the manufacturer’s instructions, mixing in the remaining chopped chocolate at the end. When serving, feel free to sprinkle with chopped crystallized ginger to add an extra-special touch! For another delicious dessert made with Greek Yogurt, make our Chocolate Yogurt Pudding. And if you’re looking for more ways to substitute with Greek Yogurt, be sure to check out our Greek Yogurt Substitution Guide and learn about all the great benefits you receive simply by eating Greek Yogurt! 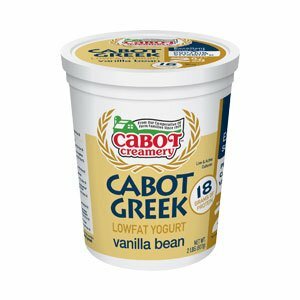 Cabot is a cooperative of over 800 farm families, bringing many years of experience to make only the best products for you and your family. We’d love to hear your feedback on this Dark Chocolate & Ginger Greek Yogurt Ice Cream recipe, so please rate and review it once you have the chance! PEEL fresh ginger and cut crosswise into thin slices. In medium saucepan, cover ginger with water, bring to boil and cook for 1 minute. DRAIN and return to pan. Add cream, sugar and salt. Bring mixture to boil over medium-high heat, stirring to dissolve sugar and salt. Remove from heat, cover pan and set aside to steep for 1 hour. POUR warm ginger-milk mixture through strainer into blender, discarding ginger. Add three fourths of chopped chocolate (set rest aside) and blend until completely smooth. Transfer to bowl, cover and refrigerate until well chilled. WHISK in yogurt. Freeze mixture in ice cream maker according to manufacturer’s instructions, mixing in remaining chopped chocolate at end. Serve sprinkled with chopped crystallized ginger if desired. 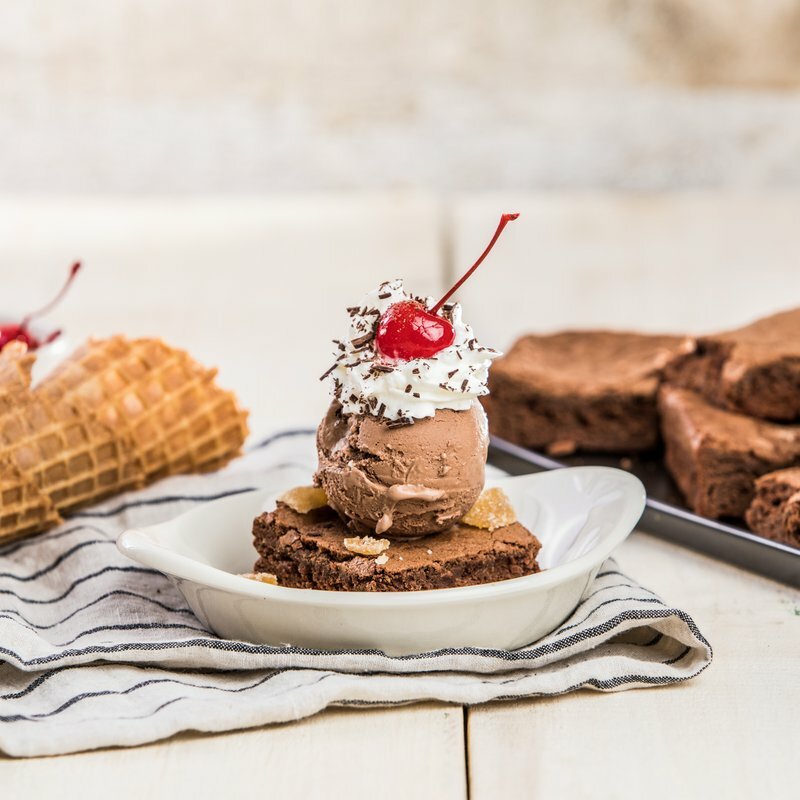 My kids (obviously) LOVE ice cream and making it is a family affair....but this recipe was to die for! The adults were just as pleased as the kids! Will def make this again.